La col·laboradora is the story of a woman who works as a ghost writer for a publishing house in Barcelona. 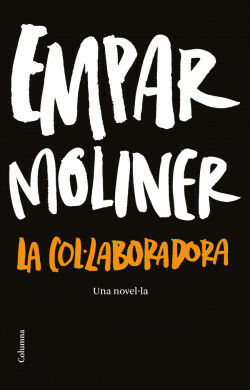 Around the commissioning of a book about the Civil War and with her particular critical view, Empar Moliner draws a twisted plot with characters that illustrate the contemporary publishing world. La col·laboradora is a book with multiple entries and multiple narrative threads, narrated with skill, feeling, irony, and of course, plenty of humour. Feeling, satire, irony and comedy mix in a work in which the author demonstrates her mastery of writing. Empar Moliner is back.